Electroplating is the process of plating one metal onto another by hydrolysis, most commonly for decorative purposes or to prevent corrosion of a metal. There are also specific types of electroplating such as copper plating, silver plating, and chromium plating. 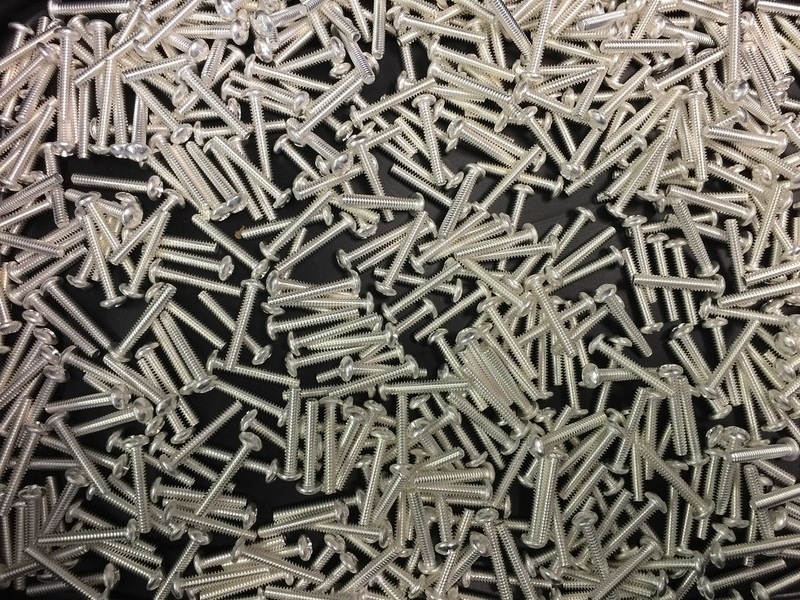 Electroplating allows manufacturers to use inexpensive metals such as steel or zinc for the majority of the product and then apply different metals on the outside to account for appearance, protection, and other properties desired for the product. The surface can be a metal or even plastic. Sometimes finishes are solely decorative such as the products we use indoors or in a dry environment where they are unlikely to suffer from corrosion. These types of products normally have a thin layer of gold, or silver applied so that it has an attractive appeal to the consumer. Electroplating is widely used in industries such as automobile, airplanes, electronics, jewelry, and toys. The overall process of electroplating uses an electrolytic cell, which consists of putting a negative charge on the metal and dipping it into a solution that contains metal salt (electrolytes) which contain positively charged metal ions. Then, due to the negative and positive charges, the two metals are attracted to each other. The cathode would be the piece to be plated and the anode would be either a sacrificial anode or an inert anode, normally either platinum or carbon (graphite form). Sometimes plating occurs on racks or barrels for efficiency when plating many products. Please refer to electrolysis for more information. In the figure below, the Ag+ ions are being drawn to the surface of the screw and it eventually becomes plated. The process is undergone using silver as the anode, and a screw as the cathode. The electrons are transferred from the anode to the cathode and is underwent in a solution containing silver. 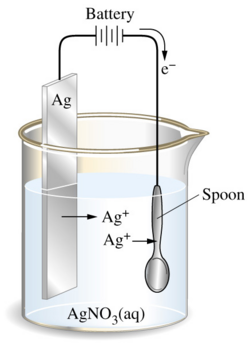 Figure 1: Electroplating silver onto a spoon. Electroplating was first discovered by Luigi Brugnatelli in 1805 through using the electrodeposition process for the electroplating of gold. However, his discovery was not noted as he was disregarded by the French Academy of Science as well as Napolean Bonaparte. But a couple of decades later, John Wright managed to use potassium cyanide as an electrolyte for gold and silver. He discovered that potassium cyanide was, in fact, an efficient electrolyte. The Elkington cousins later in 1840 used potassium cyanide as their electrolyte and managed to create a feasible electroplating method for gold and silver. They attained a patent for electroplating and this method became widely spread throughout the world from England. Electroplating method has gradually become more efficient and advanced through the use of more eco-friendly formulas and by using direct current power supplies. There are many different metals that can be used in plating and so determining the right electrolyte is important for the quality of plating. Some electrolytes are acids, bases, metal salts or molten salts. When choosing the type of electrolyte some things to keep in mind are corrosion, resistance, brightness or reflectivity, hardness, mechanical strength, ductility, and wear resistance. The purpose of preparing the surface before beginning to plate another metal onto it is to ensure that it is clean and free of contaminants, which may interfere with the bonding. Contamination often prevents deposition and lack of adhesion. Normally this is done in three steps: cleaning, treatment, and rinsing. Cleaning usually consists of using certain solvents such as alkaline cleaners, water, or acid cleaners in order to remove layers of oil on the surface. Treatment includes surface modification which is the hardening of the parts and applying metal layers. Rinsing leads to the final product and is the final touch to electroplating.Two certain methods of preparing the surface are physical cleaning and chemical cleaning. Chemical cleaning consists of using solvents that are either surface-active chemicals or chemicals which react with the metal/surface. In physical cleaning, there is mechanical energy being applied in order to remove contaminants. Physical cleaning includes brush abrasion and ultrasonic agitation. There are different processes by which people can electroplate metals such as by mass plating (also barrel plating), rack plating, continuous plating, and line plating. Each process has its own set of procedures which allow for the ideal plating. Mass Plating It’s not ideal for items that are detailed as it is not effective in preventing scratches and entanglement. However, this process plates a mass amount of objects efficiently. Rack Plating More expensive than mass plating, but effective for either large or delicate parts. Often has parts submerged in solutions with “racks”. Continuous Plating Parts such as wires and tubes are continuously passing anodes at a certain rate. This process is a bit cheaper. Line Plating Cheaper, as fewer chemicals are used and a production line is used to plate parts. is used primarily for protection. The metal used for the coating is sacrificial, being used up, in the reaction. Common metals include: zinc and cadmium (now forbidden in many countries). is used primarily for appeal and attractive purposes. Common metals include copper, nickel, chromium, zinc and tin. are coatings done based on necessity and functionality of the metal. Common metals include gold, silver, platinum, tin, lead ruthenium, rhodium, palladium, osmium, and iridium. are normally iron, cobalt, and indium because they are easy to plate, but are rarely used in plating. are metals that are even more rarely used for plating than the minor metals. These include: As, Sb, Bi, Mn, Re, Al, Zr, Ti, Hf, V, Nb, Ta, W, and Mo. An alloy is a substance that has metallic properties and is made up of two or more elements. These coatings are made by plating two metals in the same cell. Common combinations include: gold–copper–cadmium, zinc–cobalt, zinc–iron, zinc–nickel, brass (an alloy of copper and zinc), bronze (copper–tin), tin–zinc, tin–nickel, and tin–cobalt. Specializing in gold, silver, electroless nickel, bright & dull tin, bright & dull nickel, copper and miralloy plating.